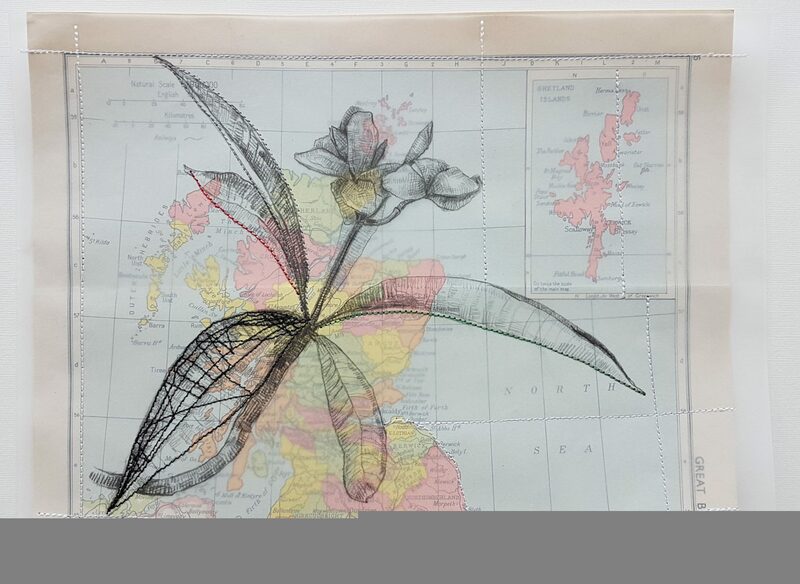 I liked the idea of a British Garden in Kuwait. 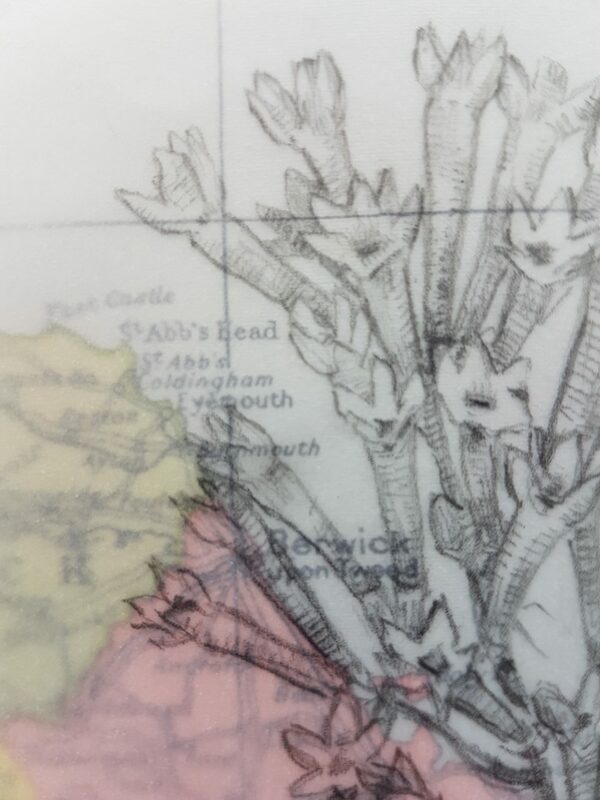 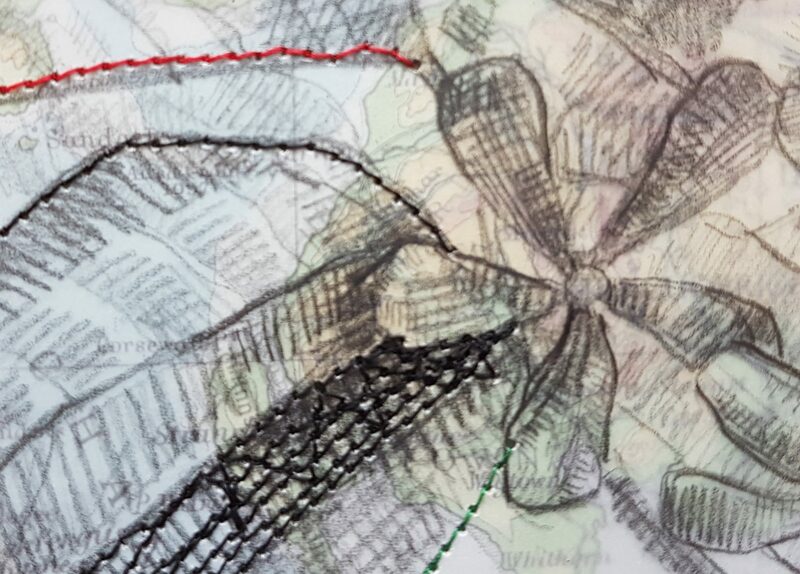 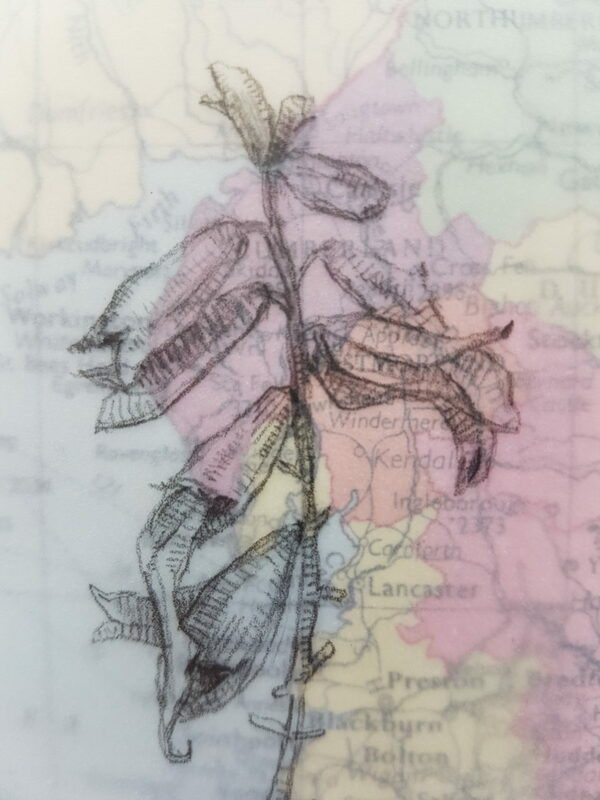 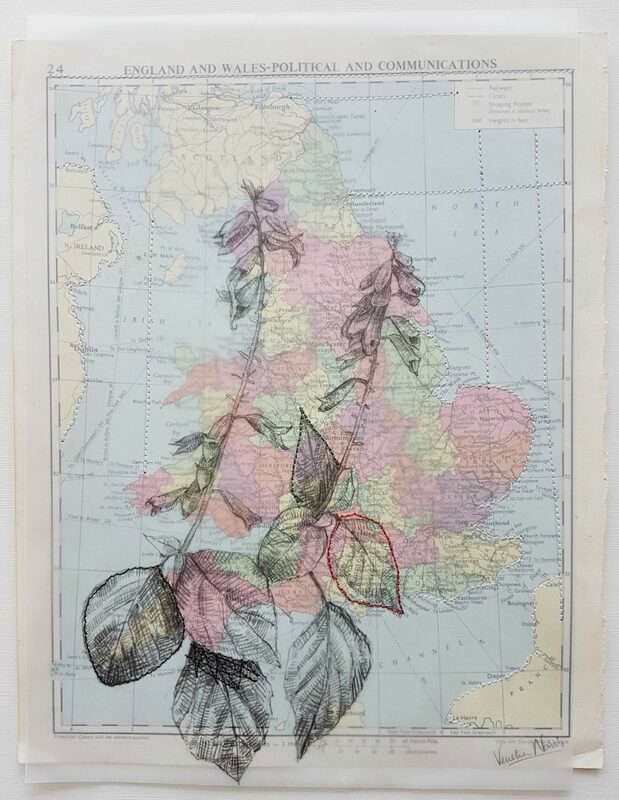 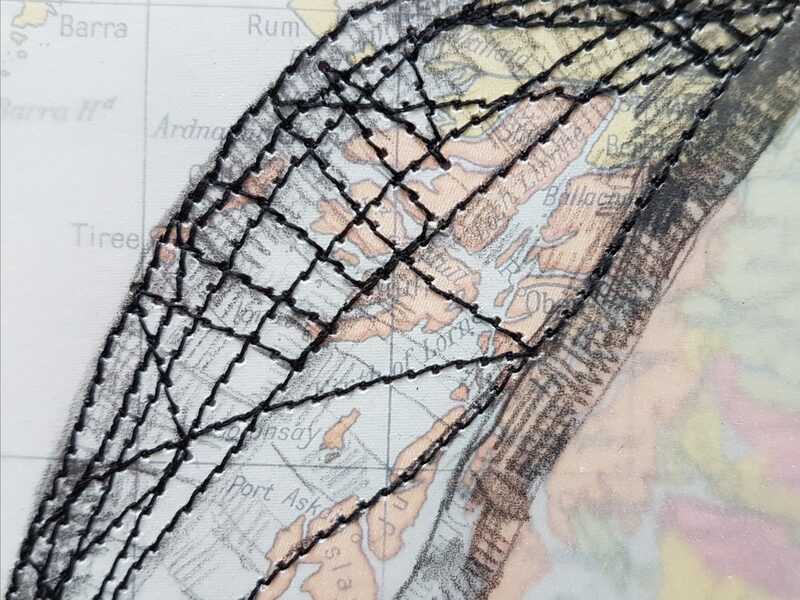 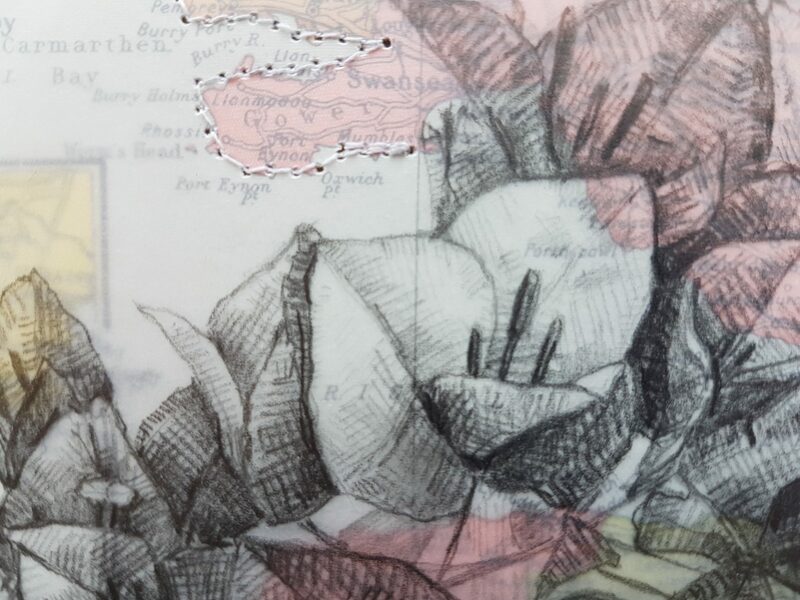 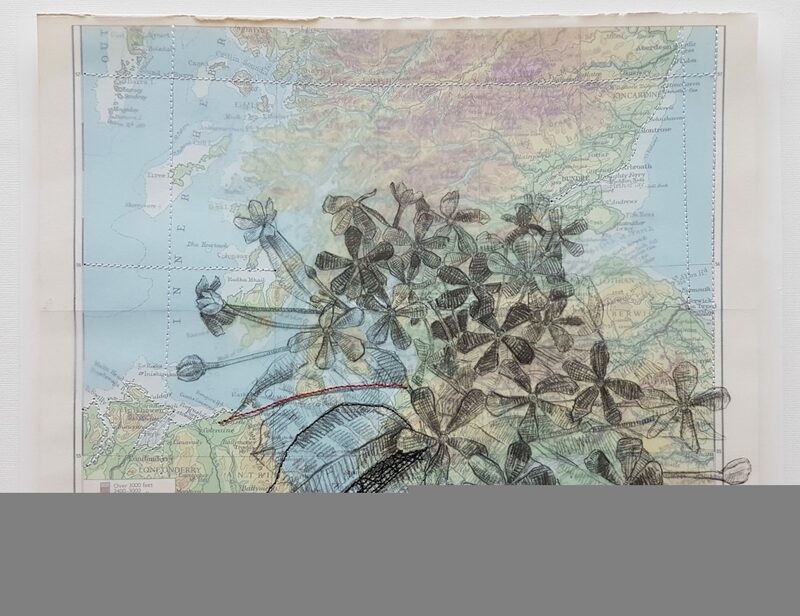 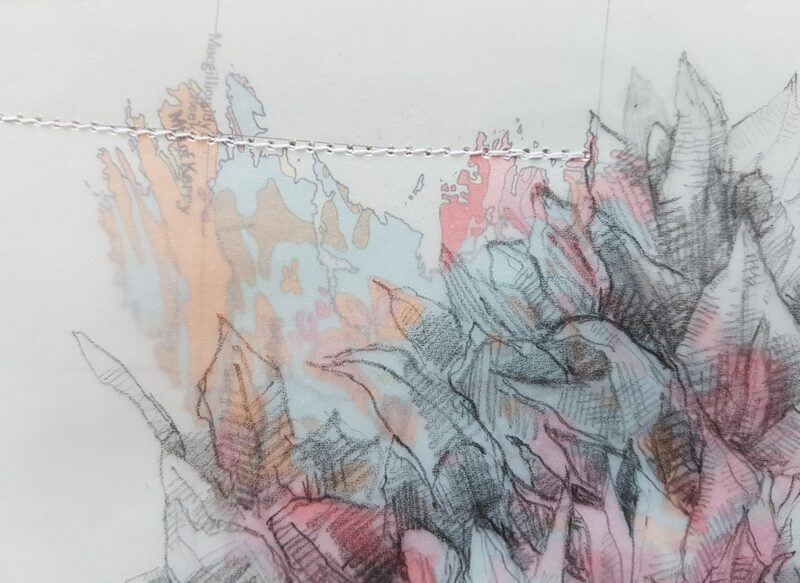 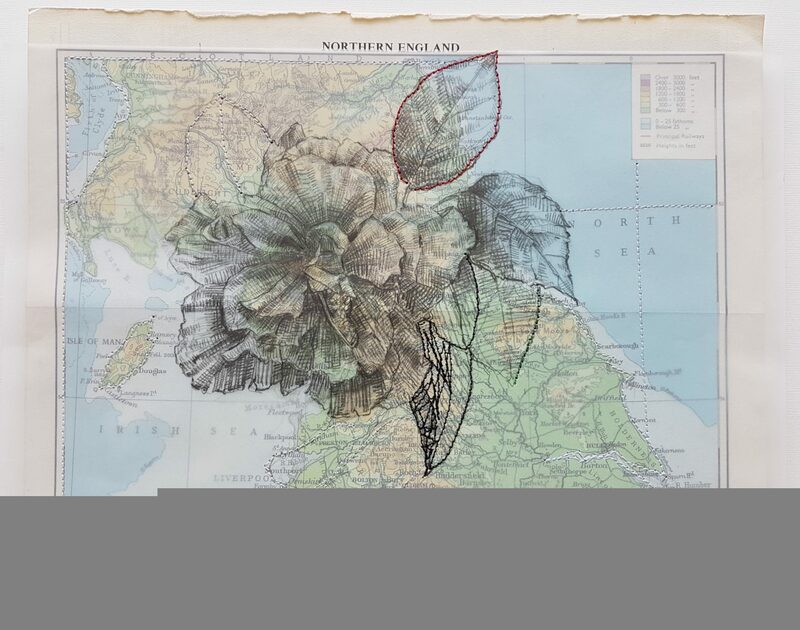 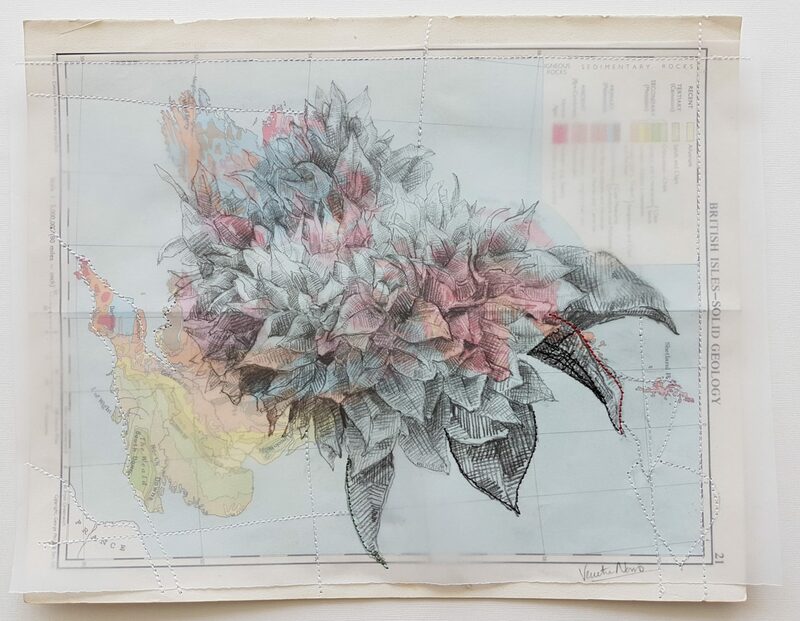 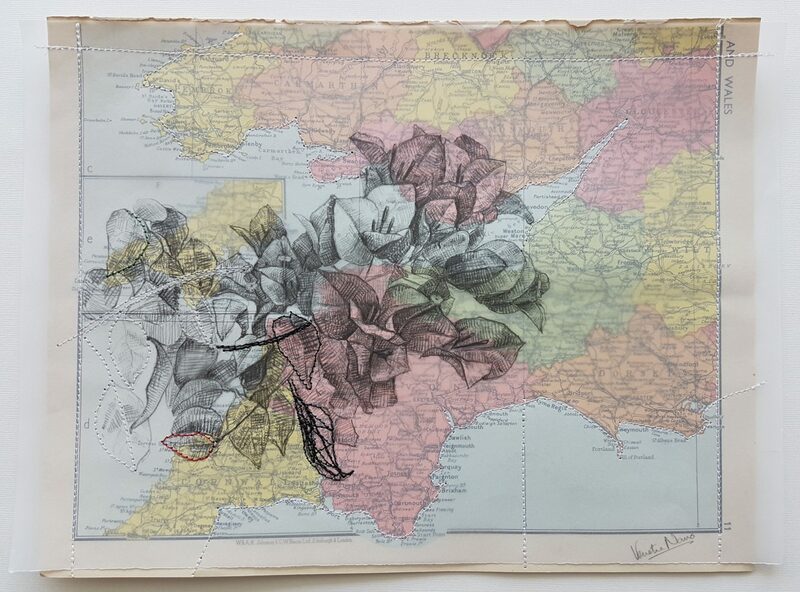 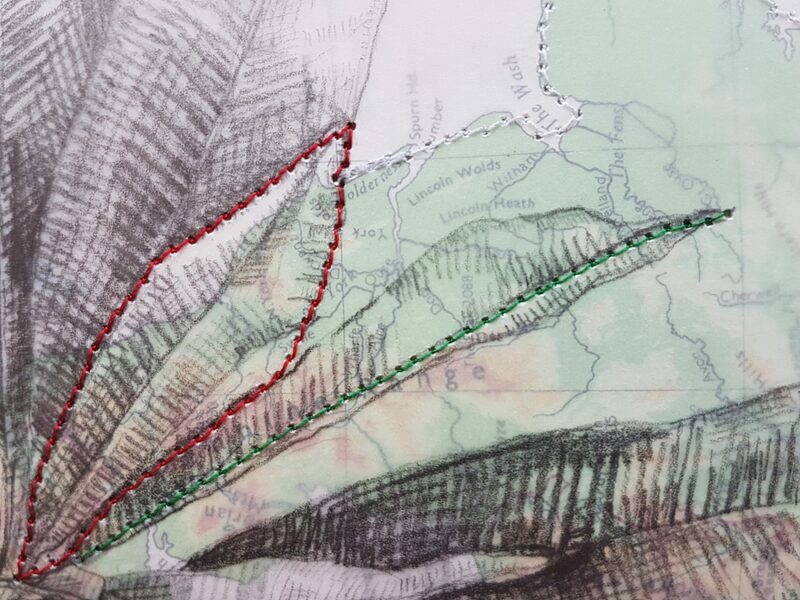 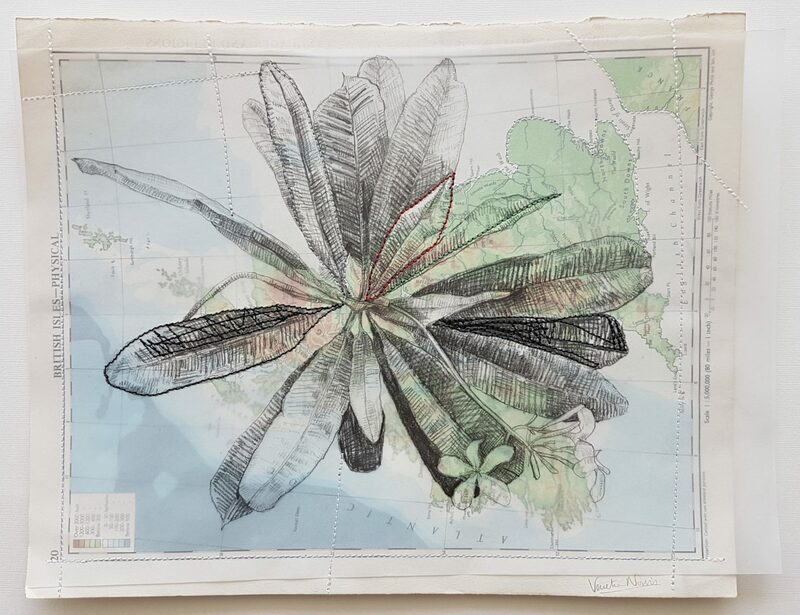 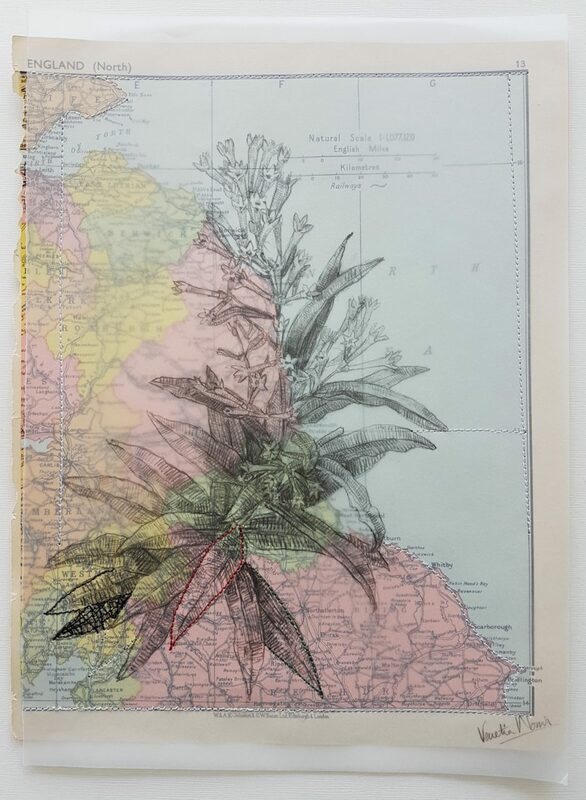 I layered drawings of flowers from the Embassy Garden on top of maps of United Kingdom. 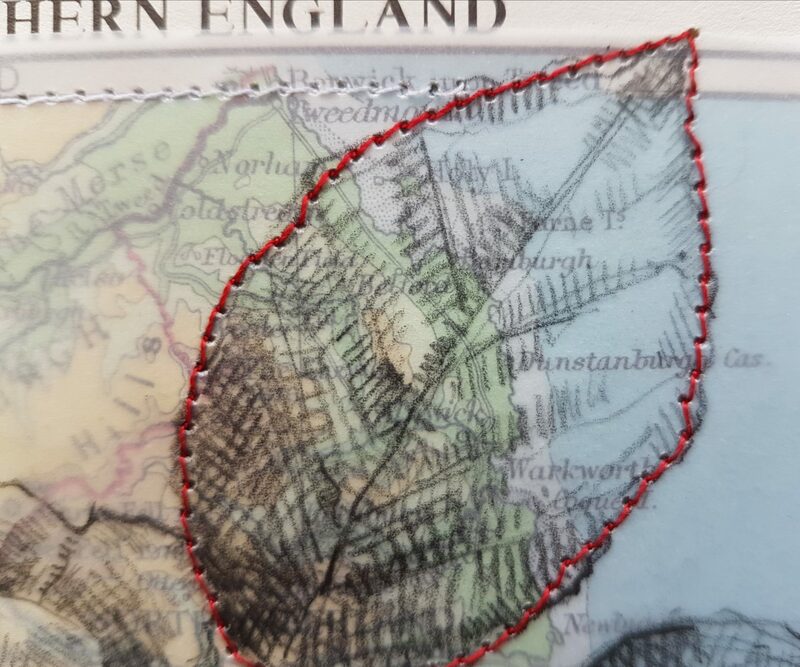 I then sewed these together using the colours of the Kuwait flag.